At Solar Xpress we provide you with a wide range of solar electricity solutions for your home and business. Solar power is a wise decision for anyone looking to save money on energy bills, while reducing their personal carbon footprint. Our knowledgeable and trained staff will provide you with customized solutions for both your home and business that will have you motivating others to go solar too.The sun provides a constant course of energy which can be harnessed to power your home, heat your water and warm your pool. Unlike fossil fuels, solar power does not let off any carbon dioxide, making it the best energy alternative that will keep our planet clean. Everyday sunlight can be easily converted to electricity and then harnessed to meet the energy demands of your family. This is achieved when the sunlight hits the solar panels, causing photons to be efficiently converted into electrons, which produces “DC” power. The “DC” power is then converted to “AC” power in the inverter, allowing the energy to be used to run electrical devices such as appliances, TV’s, computers and more. The experts at Solar Xpress will always treat your home as if it were their own. We understand the importance of creating an aesthetically pleasing, efficient, yet simple design that fits into your budget and keeps up with the energy demands of your family. At Solar Xpress, we will customize the perfect solar solution for you and your family. Our professional staff will work with you, making sure all of your needs are met and answering any questions you may have along the way. Installing a quality Solar Xpress system can also reduce or eliminate the burden of monthly energy bills as well. Combine that with the rebates and the 30% Federal Tax Credit available and your solar panel system will end up paying for itself in less than 5 years! Choosing Solar Xpress for your solar power needs is one of the best investments you can make for your home. Solar Xpress is a great choice for your business. The collaboration of technical experts and our innovative design team will help you come up with the perfect solution to meet your company’s energy needs. 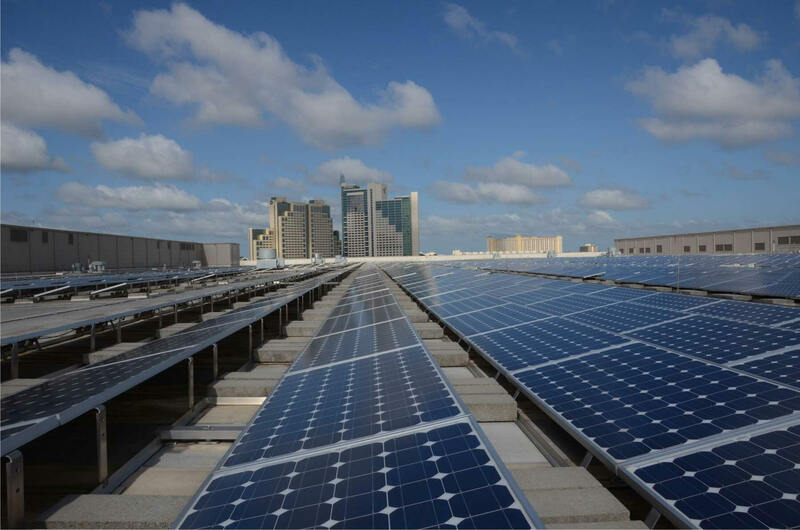 Businesses that use solar panels will enjoy generous government rebates and incentives, while instantly seeing much lower energy costs. At Solar Xpress, we understand you are busy and strive to make your partnership with us as easy as possible. We will fill out all forms and paperwork needed for grants, rebates and other incentives, leaving you free to focus on the more important aspects of running your business. We will work with you to assess the energy needs of your businesses and develop a design that will best meet the needs of your company, while keeping your budget in mind. You can be sure that when you choose Solar Xpress for your business, you will obtain the best technical expertise and meticulous design combined with integrity and professionalism that can’t be beat.